Canine and Feline Behavior for Veterinary Technicians and Nurses provides the veterinary technician with a solid foundation in behavioral medicine. Designed as a daily resource for interacting with and educating pet owners, the book familiarizes readers with the behavioral, mental, and emotional needs of dogs and cats. 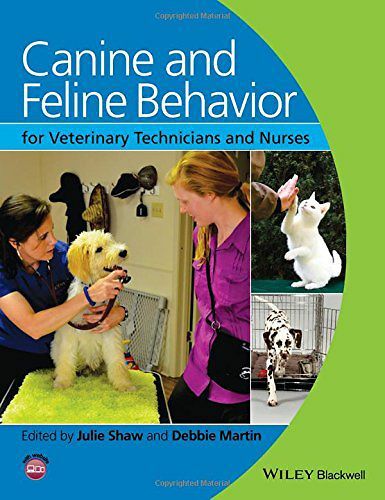 Canine and Feline Behavior for Veterinary Technicians and Nurses offers a complete guide to the technician’s role in behavioral preventive services and how to assist the veterinarian with behavioral intervention.